My 8 year old daughter has always been extremely independent. She wanted to dress herself at age two, pretty much potty-trained herself, and to this day can basically manage herself. It’s really pretty impressive, considering her mother is inherently lazy. Don’t get me wrong, I get all the crap details done. But I’m definitely of the mentality of “throw some money at the problem”. My husband agrees with that mentality for the most part, but not because he’s lazy. Being in real estate for the last 20 years, he’s seen his fair share of homeowners trying to sell their properties on their own. It drives him crazy. Not only because that means less money to him, but more importantly because he knows it rarely works out. Selling a house is a very complex process. Not only do realtors have to pass an extensive test, but they also have daily experience in the process of selling homes. We average Joes cannot say the same. There is a reason why we hire people to do tasks. Would you perform your own surgery? Or replace your own HVAC? Doubtful. Realtors know the state of the current market, and they will price your home accordingly. Many people think that online estimates are just as good as a realtor’s opinion. However, these online estimates rely on tax data, and they can be off by as much as 35%. Certainly you are not interested in selling your house below market value. 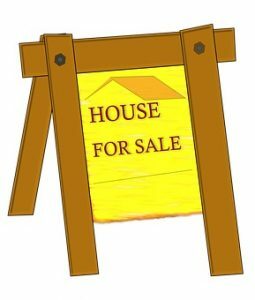 According to realtor.com, in 2012, sellers using an agent sold their properties for over $40,000 more on average than sellers who chose to not to use a realtor. Also, when you work with the realtor, you are working with a professional who adheres to a specific code of ethics that have been in place for over 100 years. As a property owner, the last thing you want to do is misrepresent yourself or your property. Of course it would not be on purpose (hopefully), but the repercussions can be severe. As you can see, it really is in your best interest to hire a realtor when selling your property. The Henry Group has a combined 100 years of experience in the buying and selling of real estate. They have also sold over $175 million worth of real estate since 2010. Now that’s a company I can get behind!